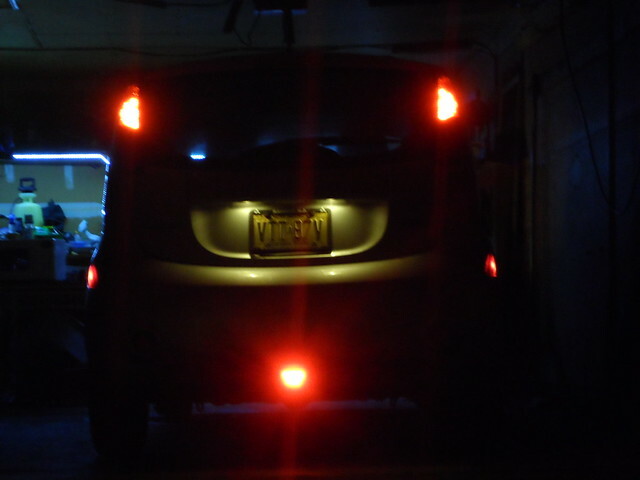 Looking at your pictures, it also looks like there is no way to put a bulb in the space below the marker light, either. I'm interested in a leveling system as well, because I'd like to raise my low beams from time to time, just calibrate the system so that number 2 is where the lights should be. Which market has the LED headlights, Japan? This item cannot be shipped to USA nor to Czech Republic. I'm sure your potential installer can make it work. Could you email the your potential installers for their insight? Jray, thank you for your offer. I will keep it as an option. A big deal of success. I have to discredit Google that insists to search based on my location and disallows ex-US location setup. Bing let me do that. Just an update on headlight leveling as well as overall modification to meet EU spec. I managed to get headlight leveling switch from eBuy, although it is different Mitsu model and different year. It won't illuminate when the dash lights come on. The resistance values start with ~780 Ohm to ~2100 Ohm, depending on the position of the switch knob and whether the resistance is measured vs. +12V or ground wire. So, I ended up passing only 1 wire through the firewall using the opening on the floor below the air handling unit. When the vehicle arrives to EU, I will purchase used EU headlights and replace the stock US headlights while using an adapter to anchor it properly to the frame. The amber turn lights will not be rewired, though. Honestly, I hate this modification but this is the only legal way how to comply with EU and register the car in the EU. The US headlights cannot be easily modified and I could just end up destroying them. Technically, if authorized inspection station measures (for a fee) the beam of the headlight in fully loaded vehicle and it still meets the specs, exception can be granted. The problem is, the nearest authorized facility is 250 miles away from my new location in the Czech republic. It would take lots of resources to have it done and the result can be negative, of course. The good thing is, I can continue driving with NJ plates right off the boat for a few months as long as the vehicle is properly insured. This gives me a cushion to figure all modifications and paperwork. BTW, the rear side markers are not allowed in EU. I will see whether the inspection technician finds out. If so, I will take the light bulbs out and paint the markers over. 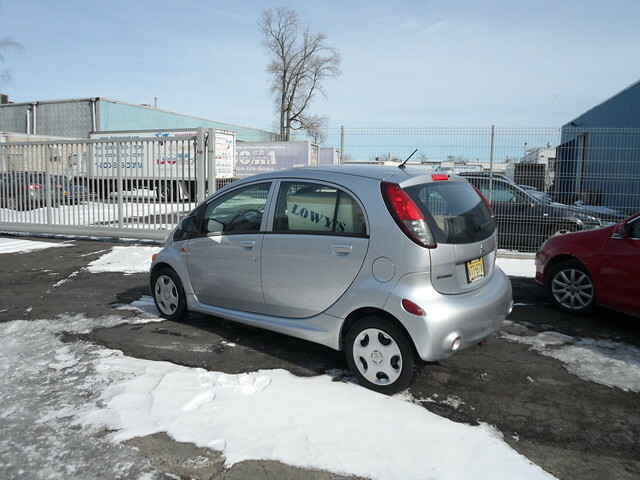 Today was the big day, I have dropped our precious iMiEV to the shipping company. You may notice the vehicle is loaded with boxes. Let me tell you, we have been able to put in the car LOTS of other things. 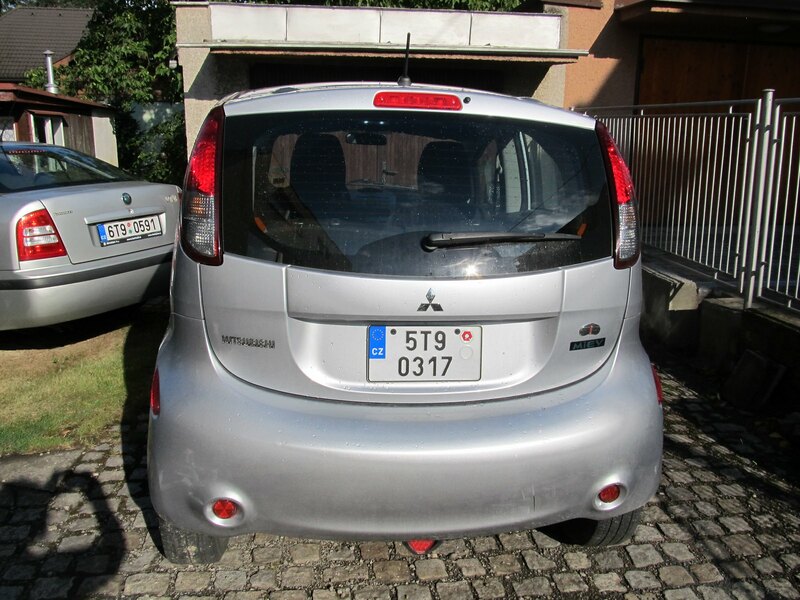 I have picked up the iMiEV in April 2015 in Poland, transported it on a trailer to Czech Republic. Then, I coordinated with family and local authorities to finally get it adopted a few days ago. I still have to pass the inspection, though. Then, the inspection repeats every 2 years. jaraczs, thank you for the update. 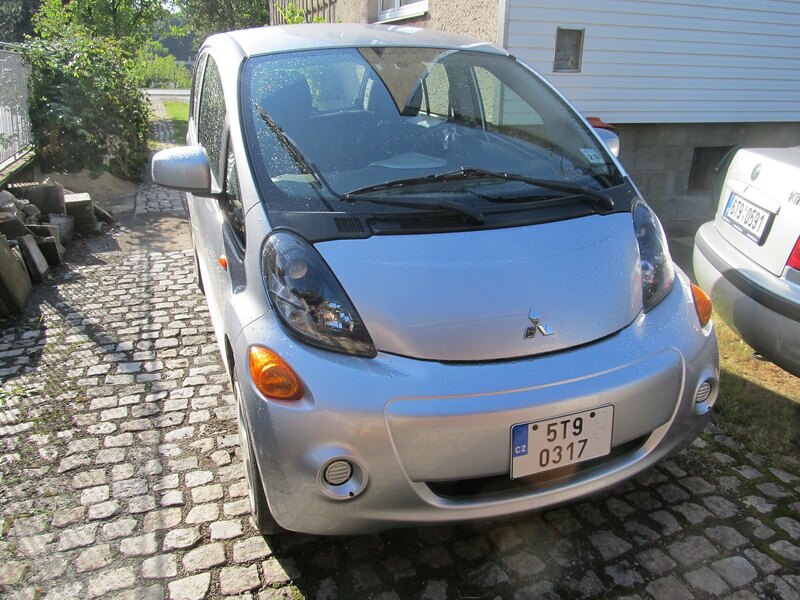 Delighted to see that your car arrived safe and sound - wow, probably the only North American i-MiEV in Europe! Good luck in jumping through all the inspection hoops. Wishing you many safe and pleasant European miles with your i-MiEV. The vehicle passed inspection and is good for 2 years. Since the import, the vehicle was driven by my father when I was in the USA. In the Spring of 2016, the airbag error lamp came off. It turned out to be a long time headache. Local inspection station could not read any codes because they don't have database for the US spec iMiEV and local Mitsu dealer refused to try. Please remember that the vehicle missed 2 recalls: passenger airbag and impact sensors replacement. After much circling between NA Mitsu and local Mitsu dealer, it looked like I will be out of luck so I paid $$ to buy the branded error code reader. It clearly showed one of the impact sensors failure. I am pressing on NA Mitsu again and finally, in May 2017, they agreed to partner with EU representation to arrange for both recalls. The local dealer didn't get all parts and instructions until November 2017 at which point the vehicle's inspection was expired because you can't drive car in the EU with error light on the dash. In the mean time, my dad passed away in February 2017 and my mom took over the vehicle. I have experienced some hard times as my mom suffers neurodegenerative disease and has been feeding me false information about vehicle failures (e.g. she forgot the car does not make noise when started). 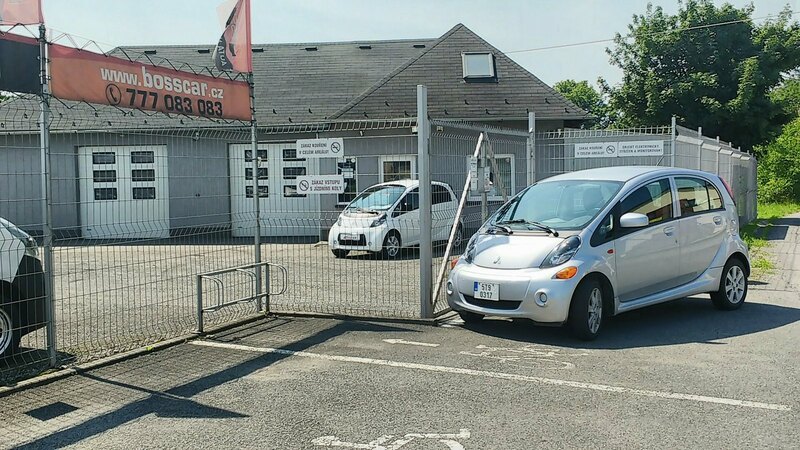 In April 2018, I have traveled to CZ to replace 12V battery, got temporary service permit and finally took the car to the local dealer. 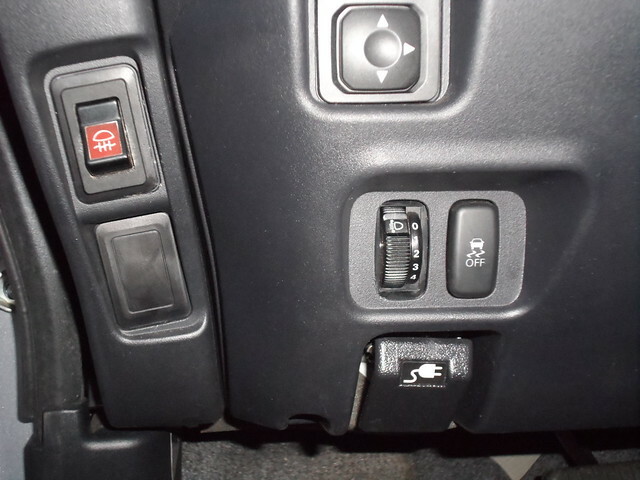 They replaced 4 impact sensors and passenger airbag. The airbag error light remained!!! Further, they forgot to attach the hazard light connector in the dash. I have wondered around and got a tip to expert located in Poland within driving range of the car. The time was up so I handed the car to my cousin and said: " If you take the car to Poland, have it fixed and make it back for regular inspection, you can drive it as much as you want except of the time I am in Czechia!" He agreed and a few weeks later, the car was fixed. I visited CZ again last month and let me tell you, the car rides just as new, except the range is maybe ~15% shorter. Given that I have Winter tires on it, this is not too bad. 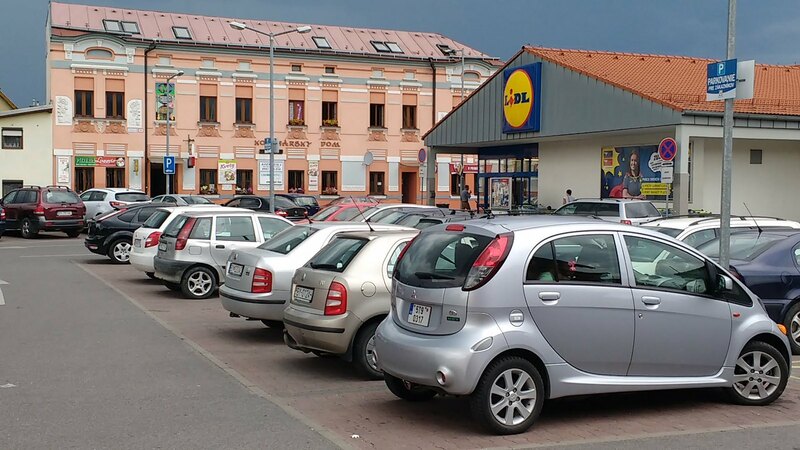 We can still comfortably travel to my wife's home town in Slovakia (80 km) with luxury margin, charge there and return back. 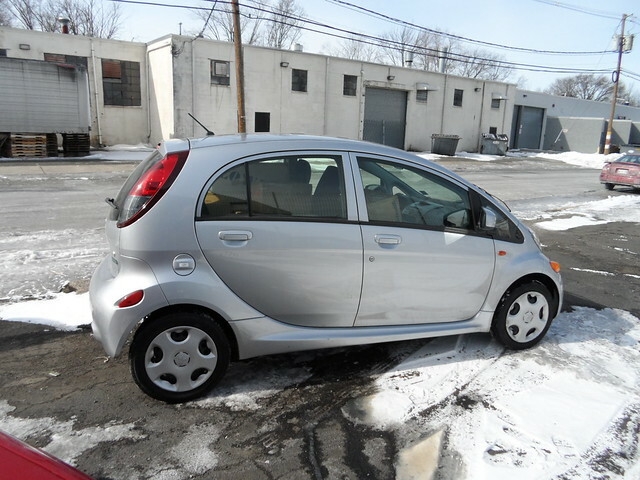 As I type this, my family is in Slovakia enjoying the little iMiEV until later in August when they all return to NJ. Here, I drive my 2015 Nissan Leaf and my wife 2017 Chevy Bolt.